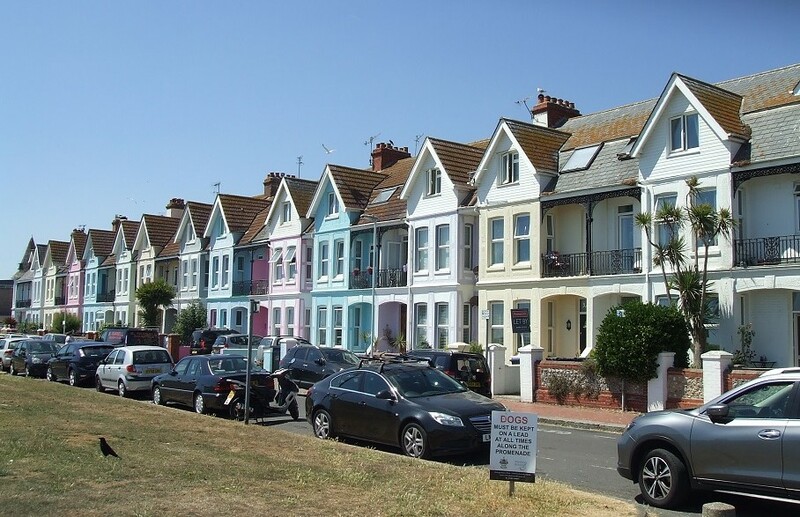 Worthing began to develop as coastal resort in the late C18th. 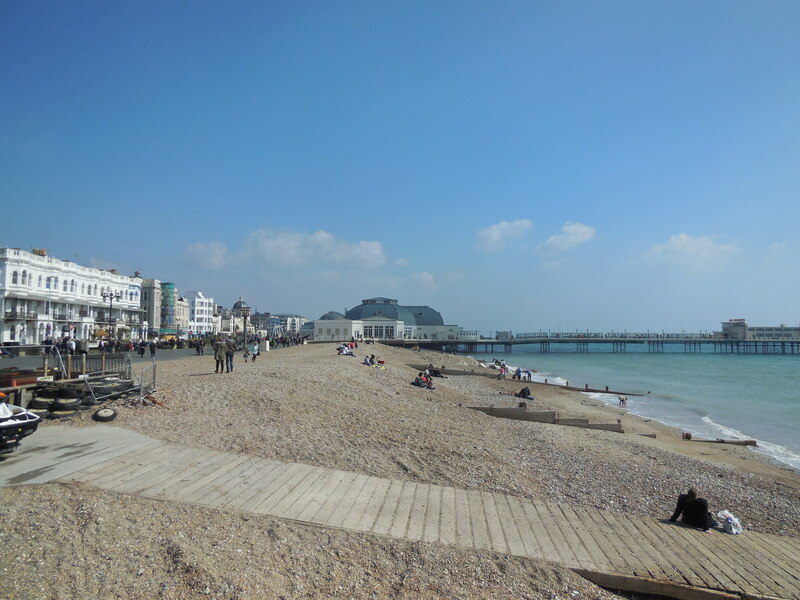 The town had the benefit of the sea air without the hustle and bustle of Brighton. By the end of the century the town had just two shops. The first theatre opened in 1796, and in 1797 the hot and cold saltwater baths opened. One notable visitor was King George III’s youngest daughter, Princess Amelia, who had treatment at Worthing for a leg injury. And here she received visits from the most fashionable Prince of Wales. The resort flourished and by 1820 had fifty shops. 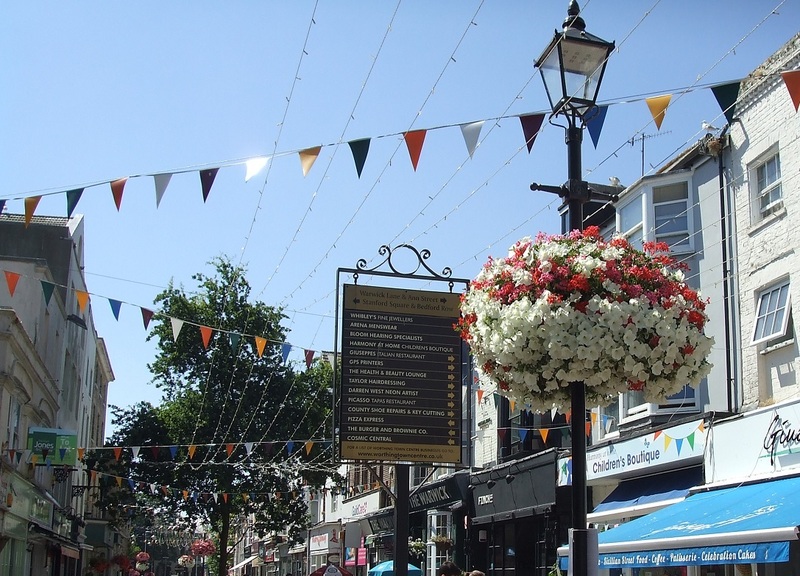 A Turnpike Road from Worthing to East Grinstead opened up the London markets for the local fishing industry and increased visitor trade. Bathing stations sprouted all along the sea-front. The first trains arrived in 1840 which gave the town an advantage over other nearby resorts such as Bognor. Faster journeys encouraged day trippers as well as holiday makers. Several churches opened in the town in the C19th, and Christ Church in Grafton Road is a striking example. Dating from 1840-43, and designed by John Elliott of Chichester, the walls are closely packed flint with contrasting quoins. The Grade II* Listed, Gothic style, building has an imposing tower with four stages and mostly lancet windows. Just round the corner from the church in pretty Ambrose Place is the Harold Pinter blue plaque. 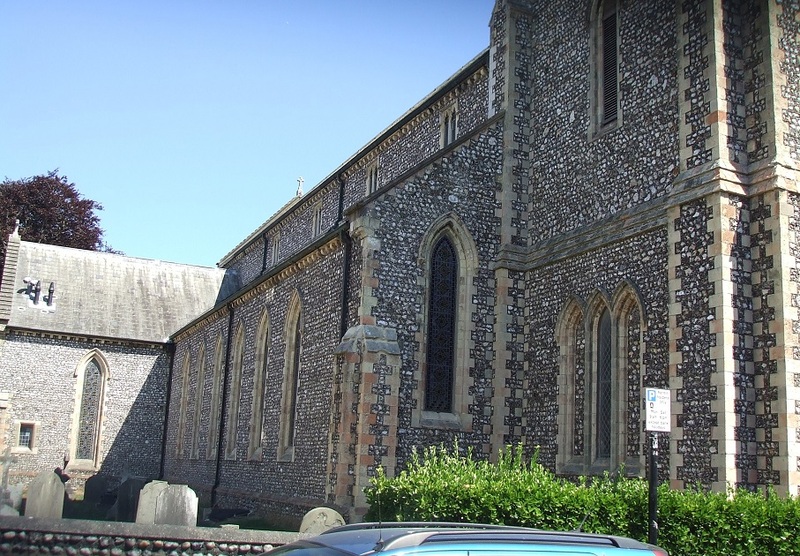 The oldest surviving building in the town is the church of St Mary, Broadwater, some of which is C12th. Also of interest is St Andrew, West Tarring, which is medieval, and its earliest fabric dates from C13th. 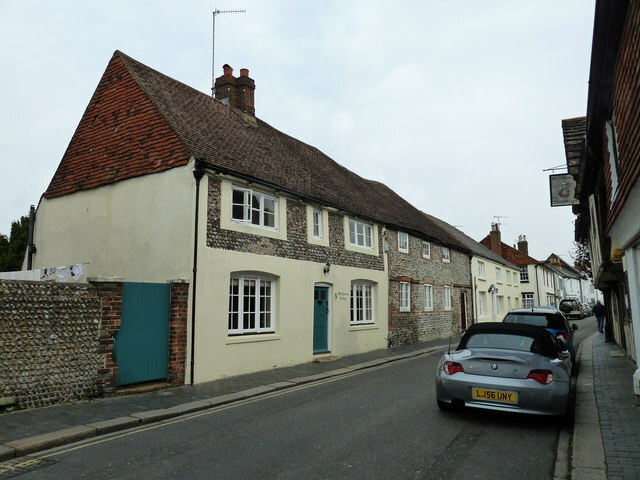 Tarring High Street is a historic gem with beautiful flint or cobbled cottages. With three pubs with beer gardens, it’s a good place to aim for at lunch time. Worthing Museum and Art Gallery has a large costume collection in addition to toys and dolls. The galleries span several centuries and styles. Admission is free and the building is wheelchair accessible. A wheelchair is available to borrow on request. Bespoke group visits or tours can be arranged in advance. The elegant Pavilion Theatre, one of the south coast’s premier theatres, is at the entrance to the 1920’s pier. As well as performances there are also craft markets, fairs and other events. The Pier is owned by the Borough council and is Grade II Listed. On the pier is a unique display of artwork which opened in 2014 to commemorate the centenary of the start of the first World War. And, just a few steps from the front you’ll find a busy shopping street.